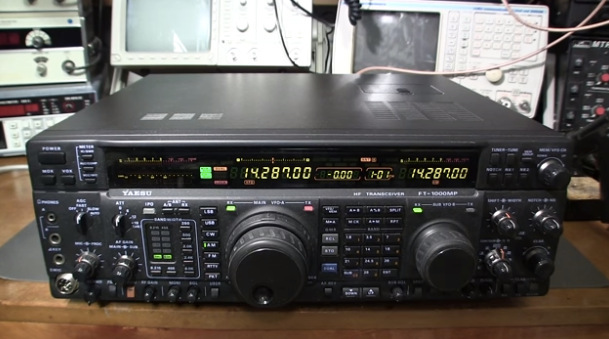 This entry was posted in Ham Radio, How To, News, Radio Modifications, Shortwave Radio, Tutorials, Videos and tagged Mr. Carlson's Lab, Radio Repair, Videos, Yaesu FT-1000, Yaesu FT-1000MP, Yaesu FT-1000MP Repair on June 20, 2016 by Thomas. This article originally appeared in the May 2014 issue of The Spectrum Monitor Magazine. Like many amateur radio operators, I became interested in HF radio because of my real passion for shortwave radio listening. During my first fifteen years as an SWL, I relied on portable receivers, in my case, the Zenith Transoceanic, Realistic DX-440, and Grundig YB 400. The Zenith was my home radio; I traveled with the DX-440 and YB400. I felt like I had the world at my fingertips. In the mid 1990s, as an undergraduate, I decided that I would pursue my ham radio license–while on my student budget, I dreamed about upgrading to a proper tabletop receiver like a Kenwood, Icom, JRC or Drake. But when I found out the real cost of buying an HF transceiver (gasp!) I realized that all of my resources would go into a transceiver, and the receiver would just have to wait. Then, as I was studying for my license in 1997, ham buddy Eric McFadden (WD8RIF) invited me over to his house to test drive his Icom IC-735 transceiver. Eric, along with another friend/elmer, Mike (K8RAT) encouraged me to look for a used IC-735 for an affordable first HF radio. I recall very well tuning around the ham bands at Eric’s QTH and being most impressed with how the IC-735 seemed to pull signals out of the static. It was my first time ever tuning a tabletop rig, and I was instantly hooked. Later, I asked Eric if the ’735 could also tune in shortwave radio broadcasters? His energetic response: “Sure! The ‘735 is general coverage,” then demonstrated by tuning to the 31M band. Needless to say, I was absolutely amazed by the number of stations one could hear on this ham radio transceiver. Of course, its sensitivity surpassed anything I had ever owned, especially considering that the rig was hooked up to a proper outdoor wire antenna. I realized then that a ham radio transceiver and receiver–in the same radio–were within my financial grasp. So, what is “general coverage”––? A ham transceiver with “general coverage” means that the receiver portion of the radio is not limited to the ham bands only; these receivers typically receive between 100 kHz and 30 MHz (i.e., the full medium and shortwave radio spectrum). 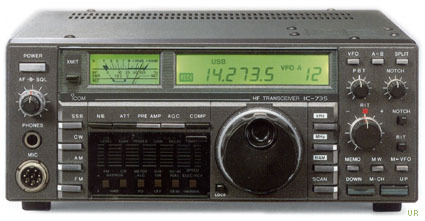 Many transceivers, starting in the 1980s, employed a general coverage design as a feature of the radio. Some radios implemented general coverage receiving better than others. In most cases, there was a compromise to performance when the receiver was opened to general coverage reception, so many manufactures held to a ham-band-only platform to optimize performance where hams sought it most. Today, receiver architecture can better accommodate general coverage without compromising sensitivity and selectivity on the ham bands. Still, in 1997, my Icom IC-735 met all of my ham radio and SWLing expectations. For years, in fact, it was my main SWLing rig. Was the IC-735 as good as a proper tabletop receiver? No. The truth is that its filters and performance were most favorable for the ham radio bands. But as I mentioned, this compromise is much less profound in current transceiver design, and general coverage is status quo. If an emergency, such as a dire weather event were to occur, general coverage will allow me the ability to monitor international broadcasters and local AM (mediumwave) stations while still performing any emcomm (emergency communications) duties. 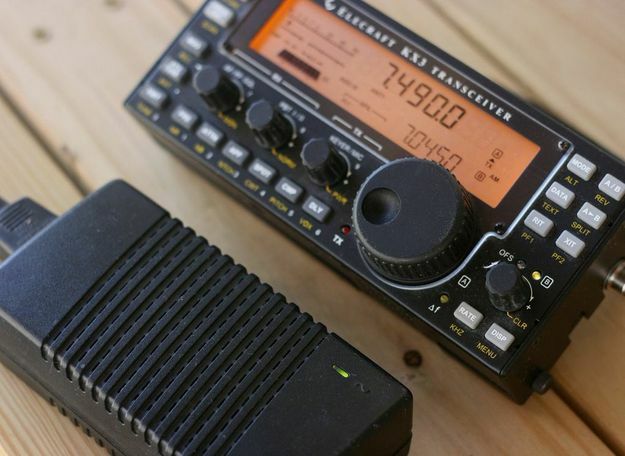 Another advantage to owning a proper HF transceiver is that, if you currently do not hold an amateur radio license, this may just be the push you need to get your ticket! All you’ll need to do is take two multiple choice tests (Technician and General) to unlock the full potential of your HF transceiver, and you’ll soon enjoy hamming it up with the rest of us. Another consideration: while anyone can purchase a general coverage ham radio transceiver, until you hold an amateur radio license with HF privileges, you cannot legally transmit using your radio. I doubt that any readers would consider doing this intentionally, but again your radio is designed to transmit, so this could be done accidently especially if you’re not familiar with transceiver functions. Transmitting unintentionally can have more than legal repercussions: 1) if you transmit with a mis-match between your transmitter and antenna, you could harm the finals in your transceiver; 2) you could damage your radio and/or antenna if using a receive-only antenna (like a mag loop); and 3) you could even receive RF burn. To avoid this, and make it foolproof, search the web for modifications to temporarily disable “transmit” on your radio if indeed you never intend to transmit. Unlike stand-alone receivers, most general coverage transceivers require an external DC power supply. If you do not have a power supply, you will need to fit this into your budget. Power supplies can be costly, but also an investment in longevity. With a little knowledge up front, you can be selective and save on your power supply purchase. As I have been using the same power supply (an Astron RS-35A) since 1997, I turned to my friend Fred Osterman, president and owner of Universal Radio, for suggestions on power supplies currently in production. Fred pointed out that if your only goal is to power a transceiver for the receive function, there is no need to invest in an expensive power supply. He suggests a reliable, regulated power supply, such as their popular $35 (US) Pyramid PS-4KX: at 3.5 amps; indeed, the PS-4KX will be more than enough power for any transceiver in receive mode. 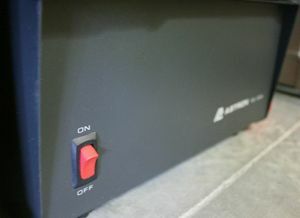 Again, I’ve had my trusty Astron RS-35A since 1997, so once you’ve invested in a good power supply, you should be all set for many years–and radios–to come. There are dozens of general coverage transceivers currently on the amateur radio market. Indeed, I don’t believe there are any rigs now in production that do not have a general coverage receiver, or at least the option to add it. Prices vary greatly, but I will assume that most SWLs that are considering the leap into amateur radio will want a radio that costs less than the price of a tabletop radio/transceiver combo. Just to keep things simple, we’ll limit our list to $1,600 US or less, beginning with the least expensive option. The DX-SR8T ($510 US) is one of the most affordable general coverage transceivers on the market. To be clear, the DX-SR8T lacks many of the frills and features of pricier rigs, but it’s a surprisingly good transceiver and, of course, general coverage shortwave receiver. 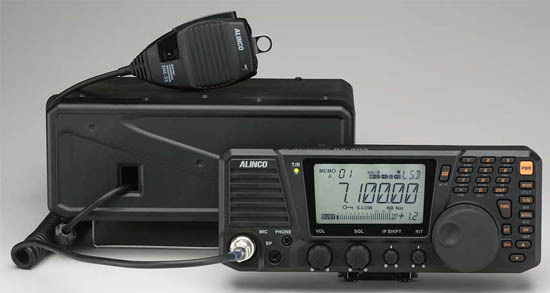 Indeed, Alinco actually markets a receive-only version of this radio (the DX-R8T, $450US); it is identical in every respect to the DX-SR8T, but simply has no transmit function. While I have only used the DX-SR8T on a few occasions, I have spent a couple of years with the DX-R8T, and even reviewed it extensively in the SWLing Post. My DX-R8T began life as a review unit that I purchased––it was an early production unit, and even retained the transmit LED indicator found on its sibling, the DX-SR8T. Consider paying the extra $60 US for the DX-SR8T, and you’ll have a basic, full-featured transceiver. 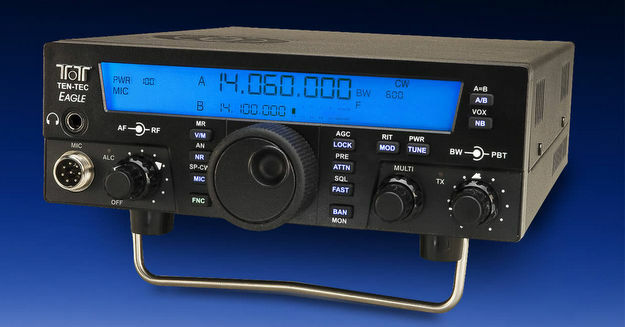 You can purchase the IC-7200 from Universal Radio or other ham radio equipment retailers. The IC-7200 delivers a lot of performance for a sub-$1,000 price. Its general coverage receiver will rival that of the venerable R75, and its AM filter can be widened to 6 kHz. Ergonomics are better than average. Plus, it has Icom’s twin passband tuning: the IC-7200’s general coverage receiver actually tunes from 30 kHz all the way to 60 MHz. The IC-7200 is a fantastic value. 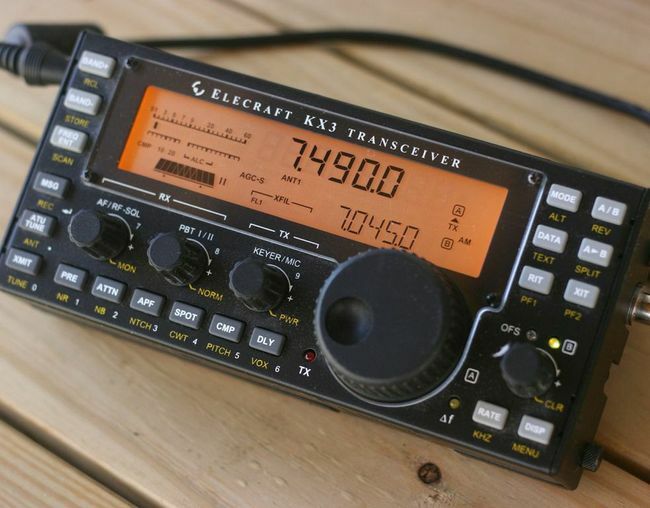 The Elecraft KX3 is my general coverage transceiver of choice. There’s so much about this radio that I like: it’s nearly as compact as my portable shortwave radios, it’s a full-featured transceiver, it can operate on batteries, it has good ergonomics, and is made and supported by Elecraft, right here in the USA. Its sensitivity and selectivity rival radios three times its price. The only negative I can point out about the KX3, in comparison with many other general coverage transceivers, is that its AM filter is limited to a width of 4.2 kHZ. When I first learned of this, I thought it would be a deal-killer for me. But I was wrong. The audio sounds much more robust and “wide” than I would ever have guessed. It’s excellent. Want more details? I made an extensive review of the Elecraft KX3 in the SWLing Post. You can purchase the Elecraft KX3 directly from Elecraft. Note: Elecraft tech support can instruct you in disabling “transmit” on the KX3, if you wish. Update: Also check out the KX3’s new sibling, the Elecraft KX2. The TS-590S has an excellent general coverage receiver and brilliant audio fidelity. With one of the lowest noise floors in the business, the 590S is well respected amongst amateur radio operators and shortwave radio listeners. If you doubt this, see how the TS-590S compares on Rob Sherwood’s receiver test data page. You can purchase the Kenwood TS-590S from Universal Radio or other ham radio equipment retailers. Looking to spend a little more? 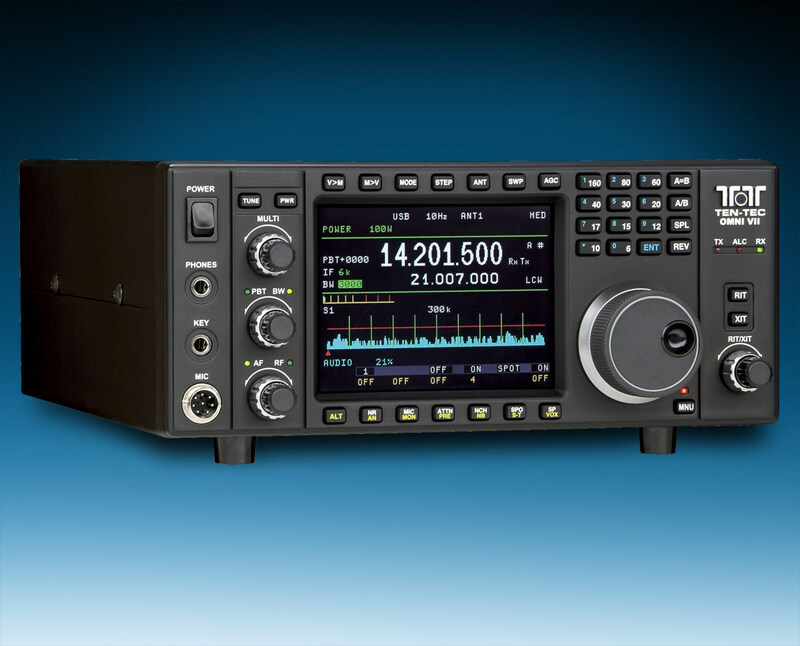 If you happen to be a ham looking to upgrade their transceiver for benchmark performance, you may be willing to dedicate more funds to your purchase. My buddy, Dave Zantow (N9EWO), a discriminating reviewer for the late great Passport To World Band Radio, is very pleased using his Icom IC-7600 for broadcast listening. 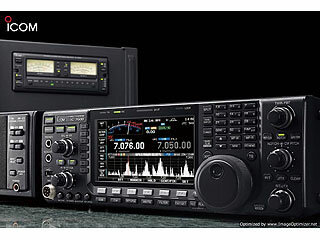 He told me recently, “[The IC-7600 is] not perfect, of course, but does perform near excellent and also has a great display [with] a very useful spectrum scope.” Dave has a full review of the IC-7600 posted on his website. I have also been impressed with the superb broadcast reception of the Ten-Tec OMNI VII ($2,800 US), Ten-Tec Eagle ($1,800 plus wide AM filter) and Orion series transceivers. While the OMNI VII and Orion II will set you back more than $2,000, used original Orions can be found for $1,800 and even less. Ten-Tec still services all of their radios at their headquarters in Sevierville, Tennessee. Keep in mind, when you purchase a quality used radio, you can get excellent value for the performance it will reward you. The flip side of this, though, is that if you purchase a radio that hasn’t been in production for over a decade, the chances of finding replacement parts become more difficult with each passing year. For more hints on purchasing a used rig, check out our Marketplace page. With the option wide AM filter installed, the Ten-Tec Eagle makes from an amazing broadcast receiver. They are available new from Ten-Tec, but can also be found used. If you plan on investing in a fine communications radio, it may be best to economize by investing in a good general coverage transceiver. For the prospective ham, the leap from a tabletop receiver to a fine general coverage transceiver may be less than $300. To prove my point, if an SWL planning to get a ham ticket asks about buying the venerable Icom R75, I would encourage spending $250 to get the Icom IC-7200, instead. Indeed, with modern receiver architecture, there is little reason not to invest in a good general coverage receiver that you can also use to communicate all over the world when you get your ham ticket. And, need I add, it’s fantastic fun for the money. If you would like to learn how to become a ham radio operator, check out this great introduction at the ARRL website. Do you have a radio suggestion that I did not mention? Please comment! This entry was posted in Emergency Preparedness, Ham Radio, Manufacturers, News, Radios, Reviews, Shortwave Radio and tagged Alinco DX-SR8T, Astron RS-35A, Best General Coverage Transceivers, Best General Coverage Transceivers For Shortwave Listening, Elecraft KX3, General Coverage Transceiver Review, Ham Radio Shortwave, Icom IC-7000, Icom IC-703, Icom IC-706MKII, Icom IC-7200, Icom IC-735, Icom IC-745, Icom IC-7600, Kenwood TS-570, Kenwood TS-590S, Kenwood TS-870, Kenwood TS-930, Kenwood TS-940, Pyramid PS-4KX, QJE PS23SWI, Radio Reviews, Reviews, shortwave listening, Shortwave Radio Reviews, Ten-Tec Eagle, Ten-Tec Jupiter, Ten-Tec OMNI VII, Ten-Tec ORION, Ten-Tec ORION II, Yaesu FT-1000, Yaesu FT-840 on June 2, 2014 by Thomas.